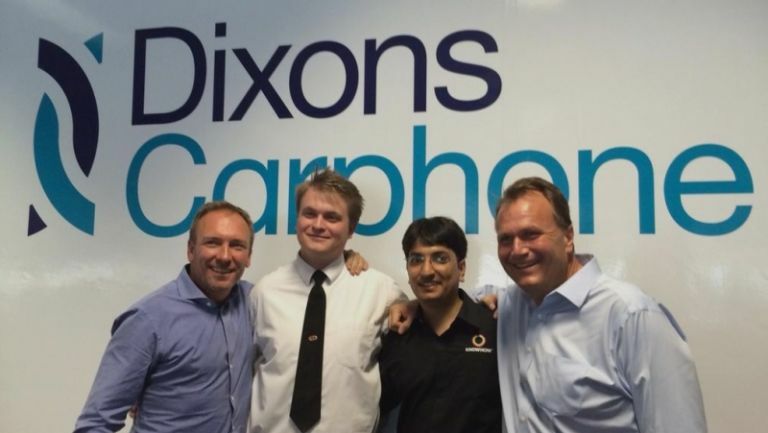 Dixons Carphone is in party mode as the newly merged firm celebrates day one of trading in the United Kingdom. The partnership between Dixons and Carphone Warehouse has resulted in seven brand new stores across the country, and a very lazy merger name. "It is a testament to the excitement, enthusiasm, and incredible hard work of our teams that we are able to launch these shops today and start turning our vision into reality," says Sebastian James, chief exec at Dixons Carphone. "If this is what we can achieve on the first day, then the days to come should be very exciting indeed. The spanking new company says it's got a further 23 stores in the works, all of which should be open and trading by Christmas this year. The firm's shares began trading on the London Stock Exchange at 8am this morning under a simple 'DC' ticker - no affiliation to Superman/Batman, unfortunately. The merger means that anyone using Currys, PC World, or Carphone Warehouse websites will be directed to the whole Dixons Carphone range. Unsurprisingly, a raft of new web contact points were unveiled bearing the new moniker, including a dedicated website, company twitter feed, and chief exec twitter feed. Tech Today: Samsung Galaxy S3 leaked, Apple power struggle? Plus: New Facebook apps coming today, RIM wants Samsung buy-out? Plus: Android activations pass huge landmark, another iPhone battery patch incoming?